Dr. Xiao Long is Associate Professor of Surgery at the Peking Union Medical College Hospital (PUMCH), Division of Plastic and Reconstructive Surgery. She received her doctor’s degree from Peking Union Medical College. 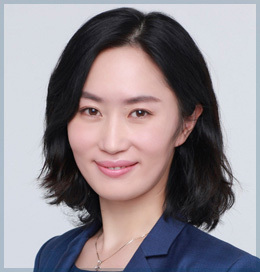 She is an active member of the American Society of Plastic Surgeons and serves as the vice chairman of the Youth Committee of the Chinese Medical Association of Plastic Surgeons. Dr. Long has the special interest in keloid research and management of keloid patients. She is also a member of the editorial board of the Journal of Keloid Research. A comparison of apoptosis levels in keloid tissue, physiological scars and normal skin. Zhang MZ, Dong XH, Guan EL, Si LB, Zhuge RQ, Zhao PX, Zhang X, Liu MY, Adzavon YM, Long X, Qi Z, Wang X. Am J Transl Res. 2017 Dec 15;9(12):5548-5557. Radiation Therapy in Keloids Treatment: History, Strategy, Effectiveness, and Complication. Xu J, Yang E, Yu NZ, Long X. Chin Med J (Engl). 2017 Jul 20;130(14):1715-1721. doi: 10.4103/0366-6999.209896. Algorithm of chest wall keloid treatment. Long X, Zhang M, Wang Y, Zhao R, Wang Y, Wang X. Medicine (Baltimore). 2016 Aug;95(35):e4684. Increased blood flow in keloids and adjacent skin revealed by laser speckle contrast imaging. Liu Q, Wang X, Jia Y, Long X, Yu N, Wang Y, Chen B. Lasers Surg Med. 2016 Apr;48(4):360-4. doi: 10.1002/lsm.22470. LncRNA expression profiles and validation in keloid and normal skin tissue. Liang X, Ma L, Long X, Wang X. Int J Oncol. 2015 Nov;47(5):1829-38. Keloid-derived keratinocytes acquire a fibroblast-like appearance and an enhanced invasive capacity in a hypoxic microenvironment in vitro. Ma X, Chen J, Xu B, Long X, Qin H, Zhao RC, Wang X. Int J Mol Med. 2015 May;35(5):1246-56. doi: 10.3892/ijmm.2015.2135. [An individualized approach combining local flaps with radiotherapy for the treatment of auricle keloid]. Long X, Wang XJ, Wang YB, Li WB, Sun XS. Zhongguo Yi Xue Ke Xue Yuan Xue Bao. 2013 Apr;35(2):213-6. doi: 10.3881/j.issn.1000-503X.2013.02.015. “X”-shaped incision and keloid skin-flap resurfacing: a new surgical method for auricle keloidexcision and reconstruction. Qi Z, Liang W, Wang Y, Long X, Sun X, Wang X, Zhao Z, Zhou Z, Qiao Q. Dermatol Surg. 2012 Aug;38(8):1378-82. Influence of quercetin and x-ray on collagen synthesis of cultured human keloid-derived fibroblasts. Long X, Zeng X, Zhang FQ, Wang XJ. Chin Med Sci J. 2006 Sep;21(3):179-83.